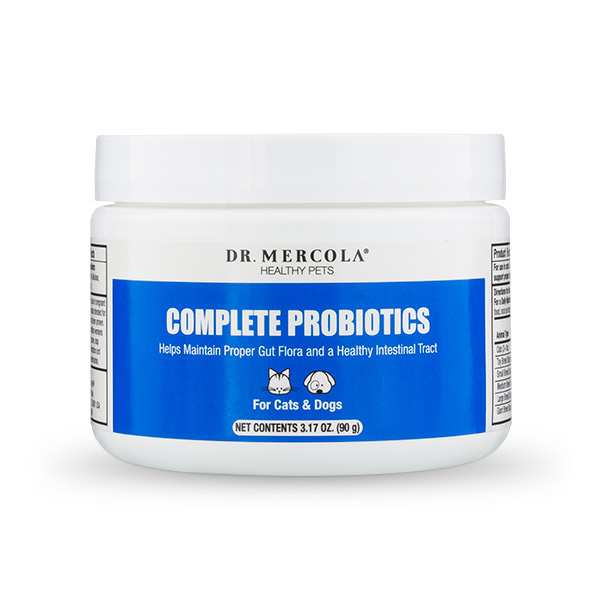 Probiotics are considered “beneficial” or “good” bacteria. There are many different kinds, or strains, of these bacteria. Each works to create a healthy balance in your pet’s gastrointestinal system. Just like humans, your pet encounters emotional and physiological stresses everyday – and every one of these stresses can potentially affect their GI tract. With Complete Probiotics for Pets, your pet will receive a minimum of 38 billion “good” bacteria in every scoop when used by the expiration date on the package. Compare that to the competition’s offering of 1-3 million and you will realize there’s no comparison. 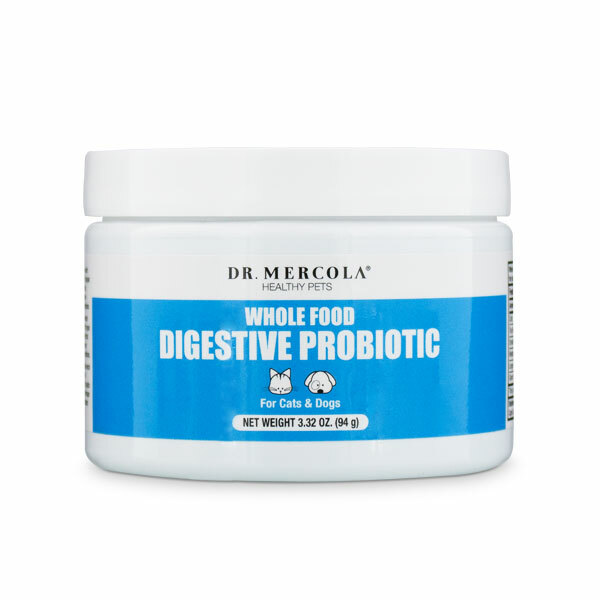 Dr. Mercola’s Whole Food Digestive Probiotic is a cost-effective, light formula that provides most of what your healthy pet may need in ONE product! Does your pet show signs of less-than-optimal digestive health, such as occasional abdominal discomfort and gas, occasional bad breath or vomiting? How about less-than-optimal joint health? Minor food sensitivities? Lackluster energy and overall less-than-ideal health? You probably wouldn’t suspect these issues to be connected with poor digestion, would you? What is the solution? Enzymes. 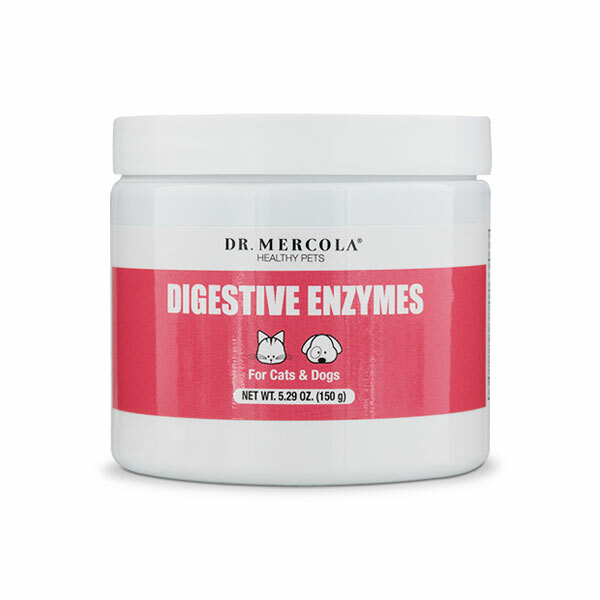 Enzymes may drastically improve your pet’s digestion and absorption of nutrients, and contribute considerably to your pet’s well-being. 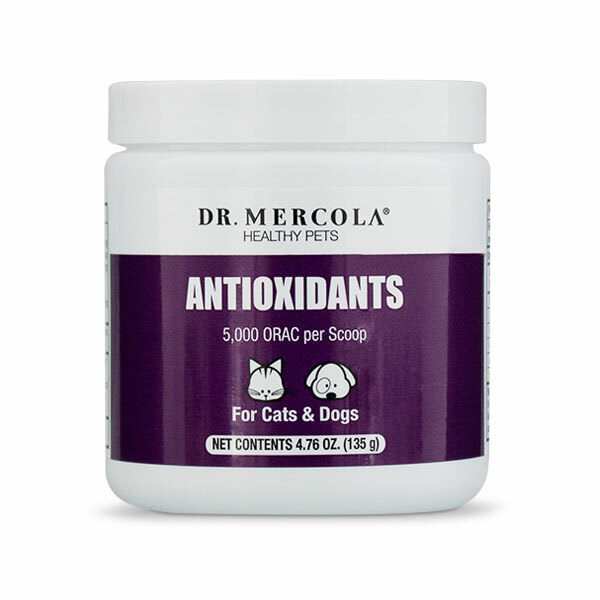 Dr. Mercola’s Antioxidants for Cats and Dogs is recommended for any pet who falls into one or more of the following categories. One category is enough, but if your pet lands in more than one, his or her need for extra antioxidants multiply! This antioxidant supplement is wholly from plants and fruits, not synthetic sources like other products on the market. 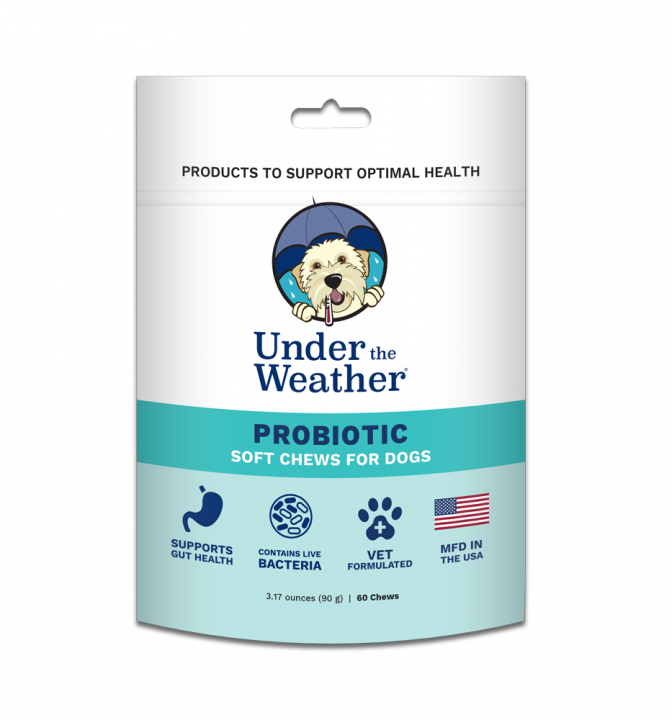 Our Probiotic soft chews support normal appetite, digestion and gut health. Contains live (viable) bacteria to help maintain the right balance of beneficial bacteria in the gut. 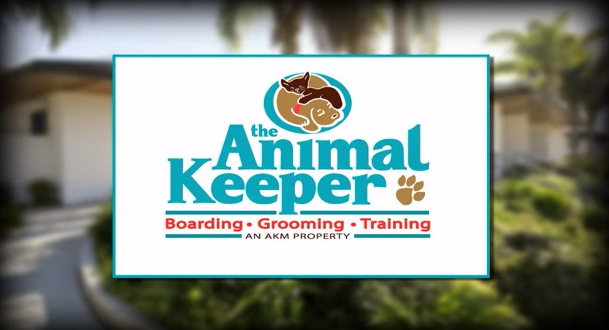 When given daily, promotes overall well-being in pets of all ages. 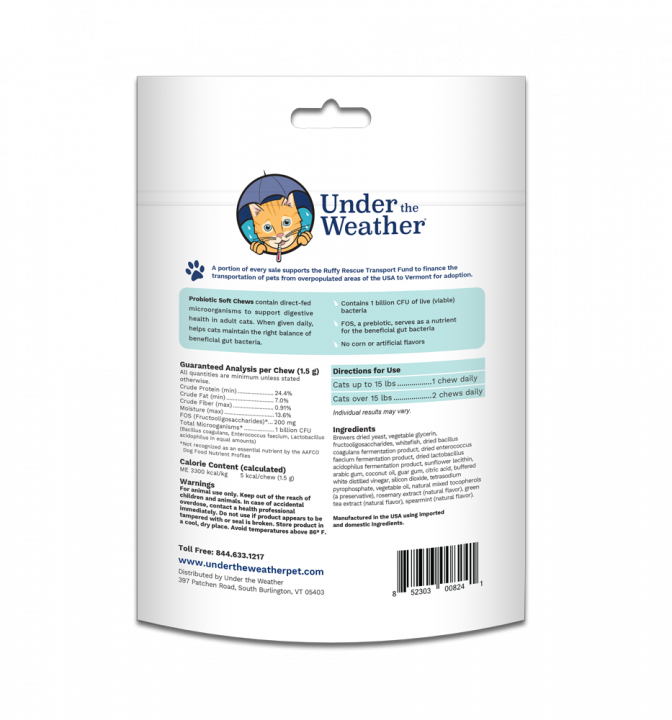 Manufactured in Vermont, this formula contains no corn, artificial flavors or dyes. 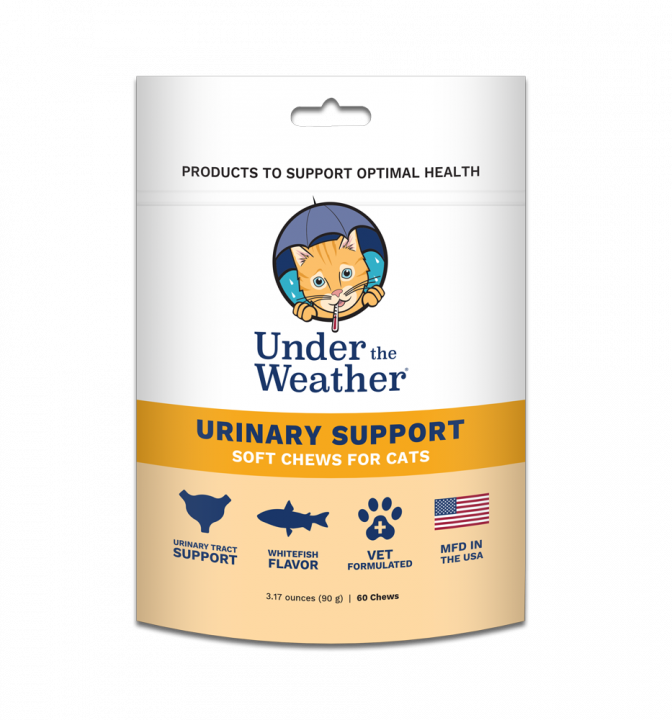 Our Urinary Support soft chews help to keep the urinary tract healthy and strong. N-Acetyl Glucosamine supports normal urine tract PH balance. D-Mannose and Cranberry Extract support normal urinary tract health. Manufactured in Vermont, this formula contains no corn, artificial flavors or dyes. Just the best for your cat!